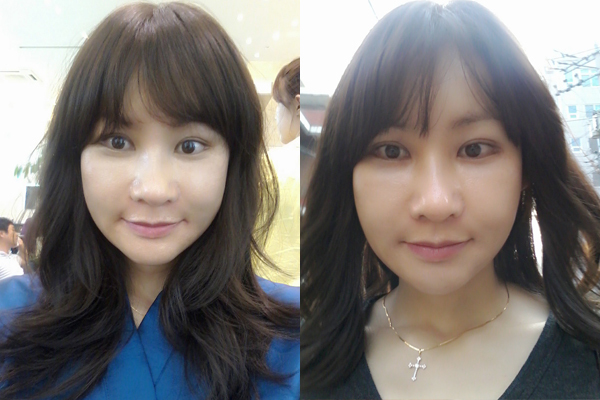 [Real Diary] From a Scream Woman to a Beautiful Woman - 짱이뻐! It’s one day before surgery. I feel so anxious and scared about my transformation that will happen tomorrow. I eagerly await my soon to be brighter appearance and getting a safe Korean two jaw surgery at Wonjin Plastic Surgery Clinic Korea. Ever since I was a child I had no confidence when smiling. These nicknames followed me wherever I went like a shadow. As time went on, I kept losing confidence in smiling. People told me that if I don’t talk I look scary, and I gave off a cold first impression. People often ask me if I am angry or upset when I keep a straight face. Actually, I am quite the warmhearted and sensitive person on the inside, and whenever I hear these words my heart aches. All these things add to my complexes and give me much stress. To improve my features somewhat I got a nose job at another clinic around 5 years ago. Unfortunately, I hardly noticed any differences and I pretty much gave up hope of improving my appearance. In 37 years I have never felt happy at my appearance, and have been unable to date or have a relationship. That’s why I made the big decision to get Korean plastic surgery so I will no longer hear about my manly features and instead be complimented on my beautiful womanly looks. I want to get prettier, more confident, and be able to wear skirts too! I really hope I can be reborn as a wonderful and pretty woman. It’s a week after my surgery. 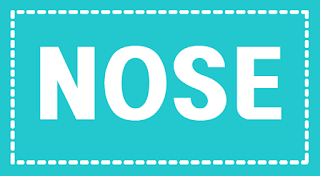 Having a weak body and living far away, I have decided to stay hospitalized. I don’t feel any pain in my face after taking meds and painkillers at the clinic. The nurse tells me my swelling is reducing day by day, and I am diligently taking walks and using my mouthwash. For meals, I am drinking the soymilk provided by the clinic. 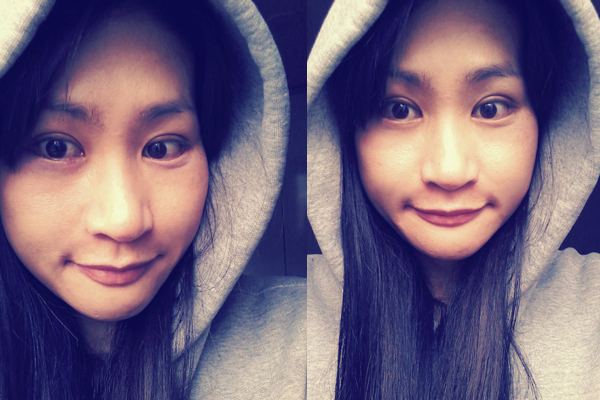 About the 5th day after my Korean two jaw surgery my puffy cheeks and tingling sensation subsided. It’s been 2 weeks and my swelling has subsided a lot and I can go out without a mask on. The right side of my face has more swelling than the left, and I have some tingling remaining in my ears and jaw. 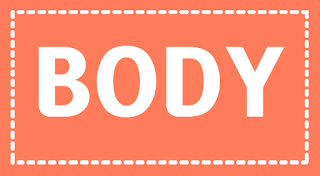 Diet consists of porridge and soup, boiled eggs, and other soft to eat foods. Yesterday I visited the clinic to get the stitched in my mouth removed. I also got a facial massage and exfoliation done. Ah I feel so refreshed. 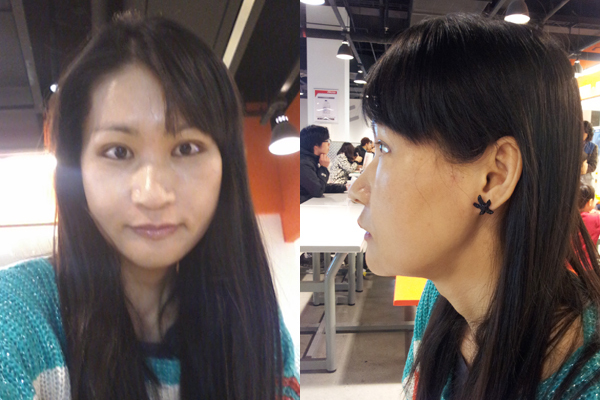 ^^ It’s difficult to wash my hair and face around my ears, but I’m sure it will improve over time. 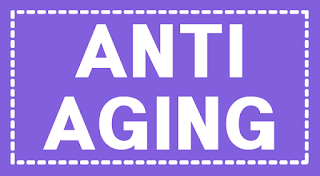 I want to quickly appear more natural with no more swelling! It feels like forever but it’s only been one month since surgery. 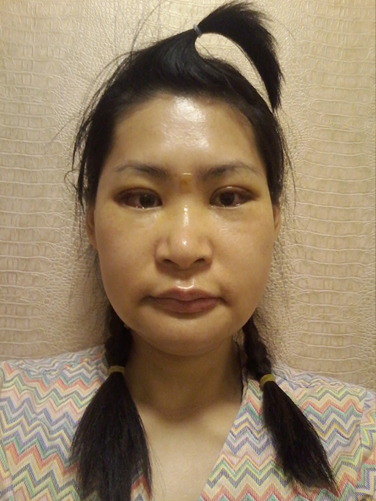 On my visit to the clinic, I got the compressive bandage removed from the center of my forehead and both ears. These were the reasons why I couldn’t wash my hair face properly. Now that they are moved, I feel so relieved.. The doctor told me my swelling was reducing and my jaw and cheekbone lines were healing quite prettily. He told me to keep doing mouth opening exercises and to come back next week. Aw~~ I still feel some tingling near my lips and chin. I only have minor swelling in my face now, and my face looks more slender now. I used to hate taking selfieslooking in the mirror, but these days it’s become a fun habit. To speed up my healing I am continuously doing ice pack massages, walking, and drinking pumpkin extract. It’s already been 2 months, and time is most definitely medicine. The right side of my jaw was slightly unbalanced but is naturally settling into place as it heals. Normal sensation in my jaws has returned as well. 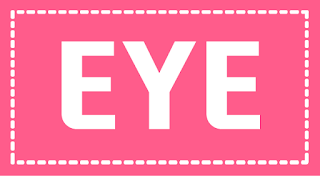 I am looking at myself in the mirror so often these days, I could burn a hole through it hehe. I hear I am becoming more and more prettier, and I am all smiles. As I notice my changed facial appearance, I feel like my personality has become brighter. Everyone tells me I made a great decision getting Korean two jaw surgery. I feel so happy at both my appearance and newfound confidence after the Korean plastic surgery. 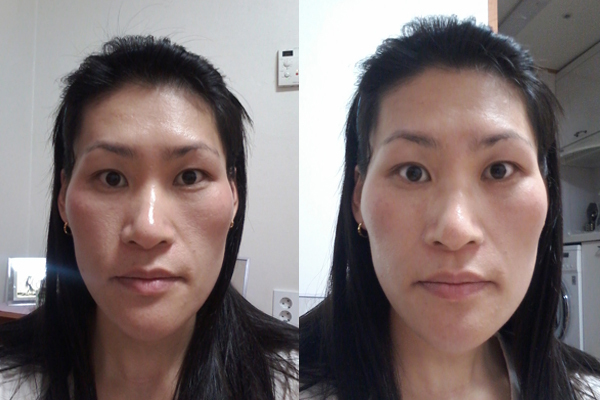 3 months after my Korean two jaw surgery, and 1 month after nose, lifting, and lip corner fat grafting procedures! As the small swollen areas have improved, my facial outline is becoming much more distinct. 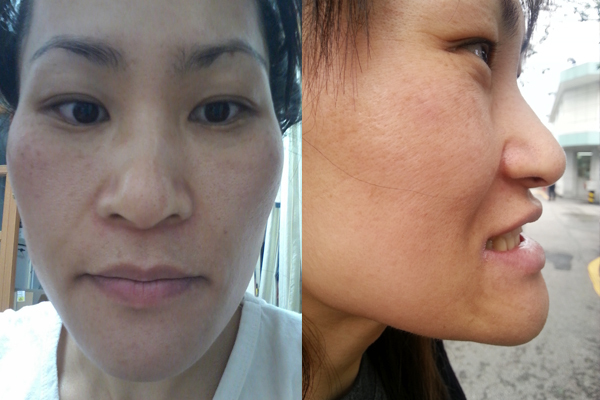 Fat grafting on my eyes, nose, lips are also settling and look quite natural. 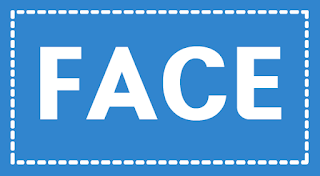 After fat grafting, I was told I should eat well but I wasn’t able to and so I got my 2nd round of fat grafting done sooner. I asked for more volume to be injected this time around compared to the 1st round. Volume in my forehead, smile lines, and front cheeks makes my smile much brighter. 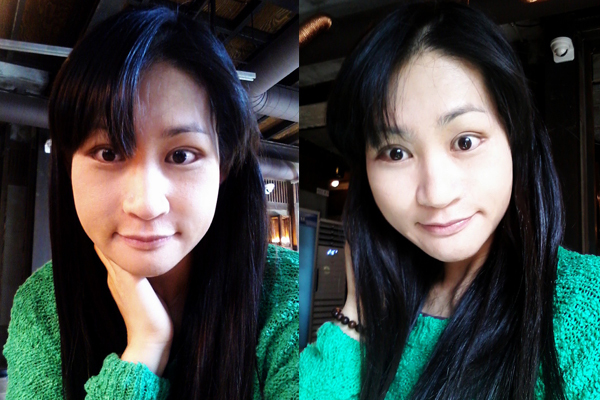 Oh~ I feel so happy at my new appearance,,,, To sustain these effects, I will eat and take care of my body well. My lip corners have become slightly raised and my smile looks natural. ^^ However, since I raised the muscles inside my mouth, scarring slightly remains. 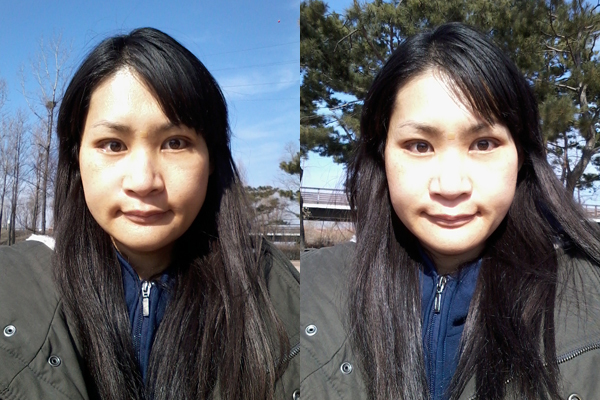 I have applied scar treatment cream and it has improved a lot. Maybe it’s due to my consistent application of ointment, but my scar is becoming fainter. It’s been an incredible 4 months after my Korean two jaw surgery. It’s been over a month since my fat grafting, lifting, lip corner, and nose surgeries. 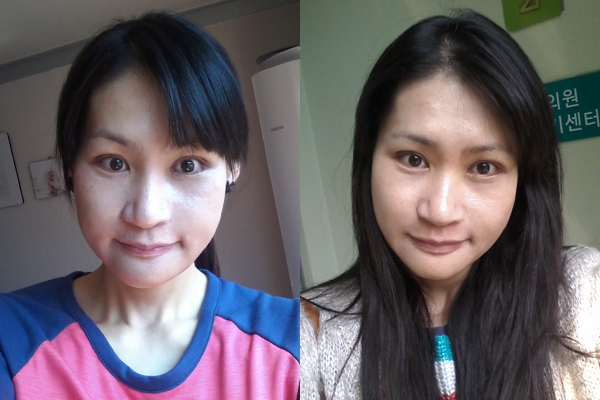 Maybe it’s due to the fat grafting but my face has no wrinkles, looks taut, and my skin looks much clearer now. I feel so content that I will only improve my looks over time, and I can’t wait to improve. 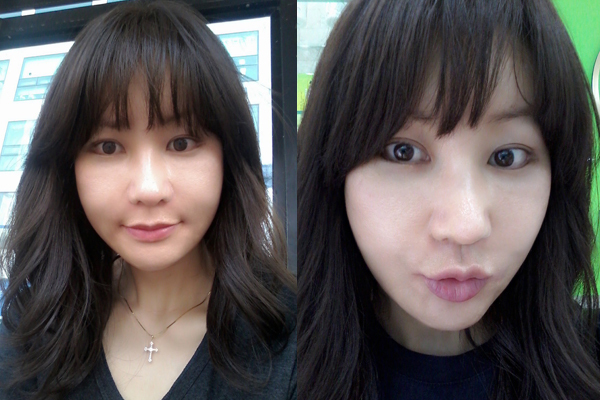 After becoming prettier after my Korean two jaw surgery, I even feel confident with no makeup on. Being single for 37 years, I feel that I can finally get into a relationship now, and I feel like I can accomplish anything I want. I will take this newfound confidence and apply myself to become the best woman I can be.